Training as an athlete requires hard work and dedication. It also requires rich nutrients to support the body. These nutrients can come from a healthy diet, and also from supplements. Supplements can help increase endurance, speed, power and even strength. Although there are many different supplement out there for athletes, here are six that can help improve performance. As one of the most abundant metals on earth, iron is an essential component in hemoglobin. It is also essential in producing ATP, the body’s primary energy source. There are two types of iron, heme and non-heme iron. Heme iron is absorbed better in the body and can be found in lean meets such as beef, clams, organ meats, and oysters. Non-heme iron, found in dark greens, is harder for the body to absorb. According to an October 2015 study in Swiss Medical Weekly, iron deficiency is often prevalent in athletes. Iron deficiency may negatively affect physical performance including endurance. The study suggest that elite athletes should consume 50 mcg/l before training.4 If an athlete has iron deficiency, he or she should take iron supplements. 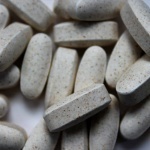 But, taking iron supplements without an established iron deficiency can cause more harm. Caffeine might be the stimulant that wakes you up in the morning, but it also has ergogenic acid that can be a helpful stimulant for athletes. Caffeine may not have nutritional value, but it does release endorphins during workouts that can improve endurance. A 2008 study in the American College of Sports Medicine found preliminary results that caffeine had the power to increase performance in both single and multiple sprint sports.5 While a lot of research has been done, there still needs to be more investigation on the full effect of caffeine on athletes. B-Vitamins include riboflavin, thiamin, folate, and vitamins B-6, B-12. All of these vitamins are essential to covert proteins in the body into energy and also repair cells including red blood cells. Preliminary research supports idea that exercise may increase the amount of riboflavin and Vitamin B-6 needed in the body, especially for athletes that need to control their weight. Athletes that have a B-Vitamin deficiency will see a worse performance during high-intensity exercise and not be able to repair and build muscles. Oregon State University in 2006 found that athletes need more B-Vitamins in their diet than recommended by the U.S. Government.6 B-Vitamins can be found in dairy, meat, and also whole grains, dark green vegetables and nuts. “Creatine” https://www.nlm.nih.gov/medlineplus/druginfo/natural/873.html U.S. National Library of Medicine. Published 1995. Updated June 2015. Accessed March 2016. Smith, G., Atherton, P., Reeds, D.N., Mohammed, B.S., Rankin, D., Rennie, M.J., Mittendorfer, B. Dietary omega-3 fatty acid supplementation increases the rate of muscle protein synthesis in older adults: a randomized controlled trial. Published February 2011. Accessed March 2016. Clénin G, Cordes M, Huber , Schumacher Y.O., Noack P., John Scales J., Kriemler S. Iron deficiency in sports – definition, influence on performance and therapy. Published October 29, 2015. Accessed March 2016. Glaister, M., Howatson, G., Abraham, C. S., Lockey, R. A., Goodwin, J. E., Foley, P., & McInnes, G. Caffeine supplementation and multiple sprint running performance.Published October 2008. Accessed March 2016. Woolf K., Manore MM. B-vitamins and exercise: does exercise alter requirements? Published October 2006. Accessed March 2016. Ogan D., Pritchett K., Vitamin D and the Athlete: Risks, Recommendations, and Benefits. Published May 28, 2013. Accessed March 2016.